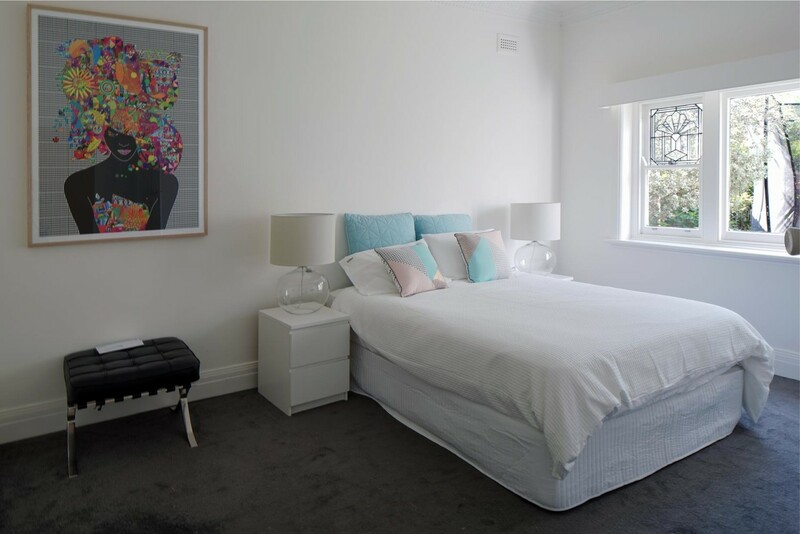 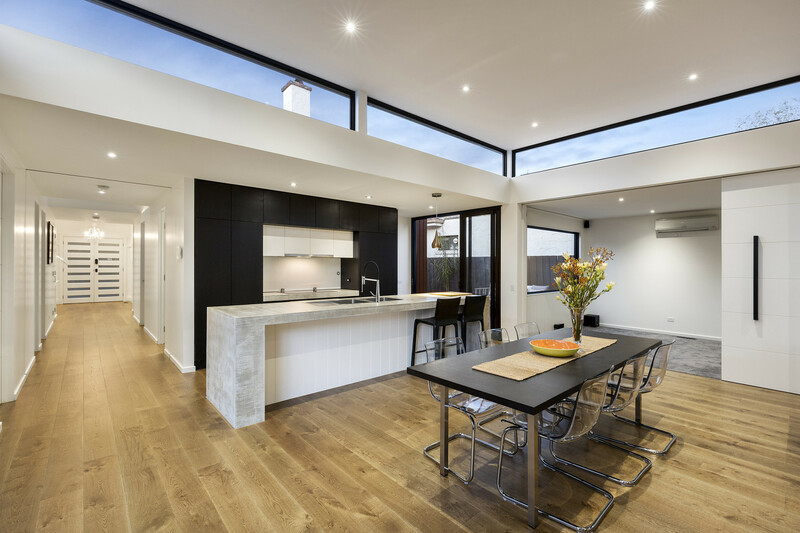 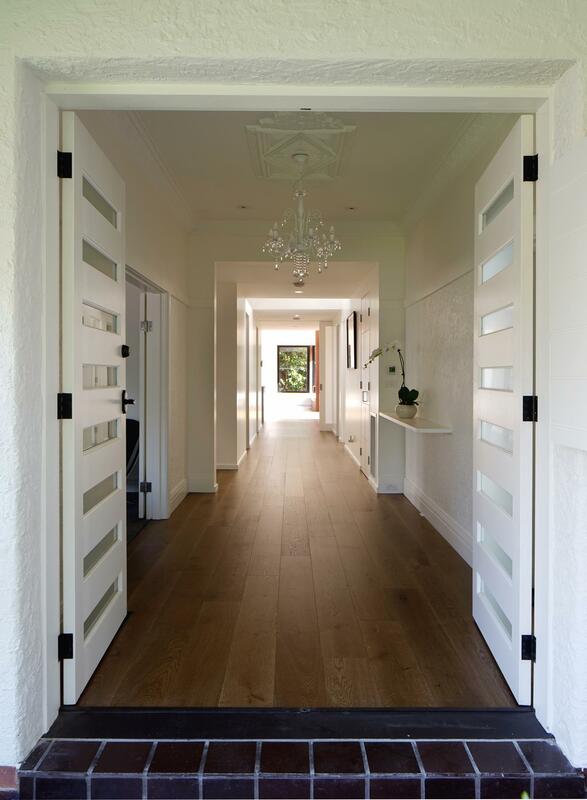 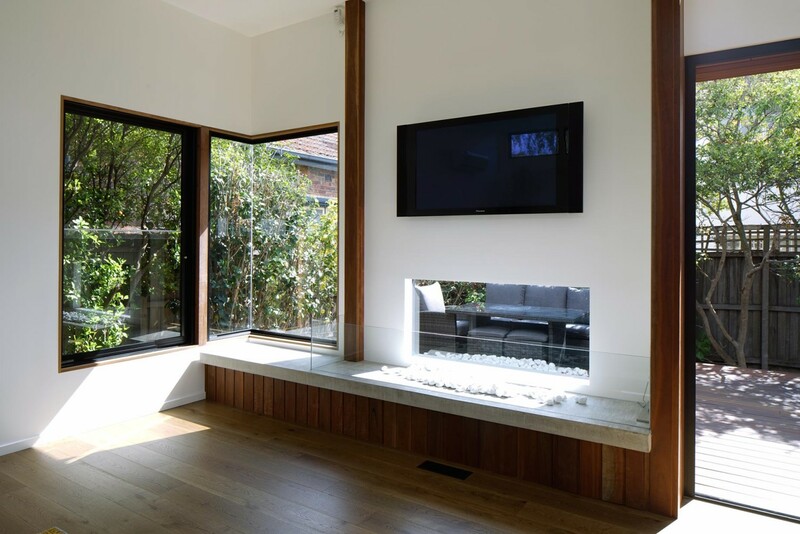 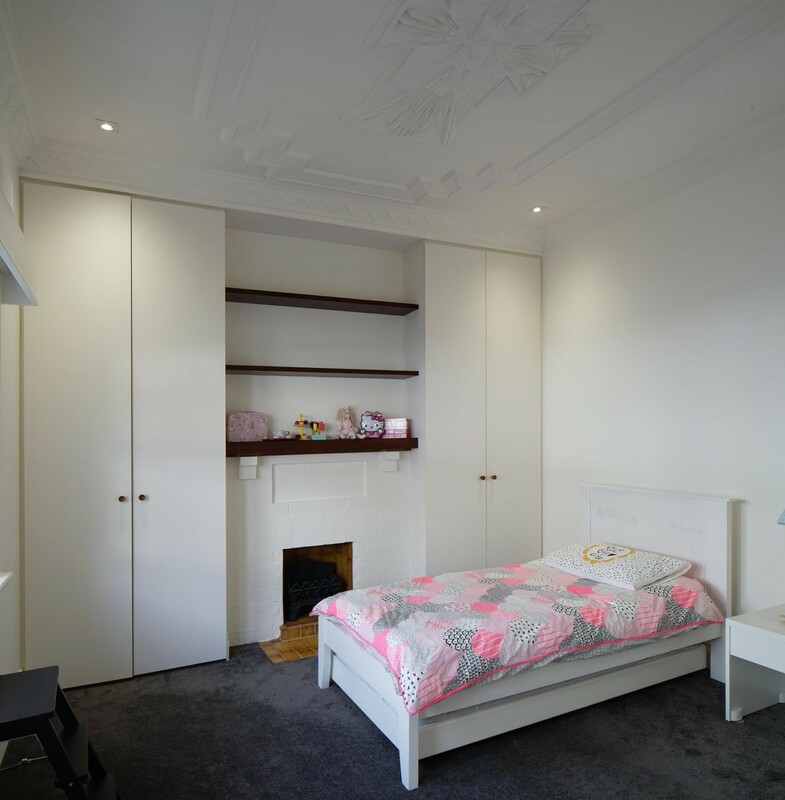 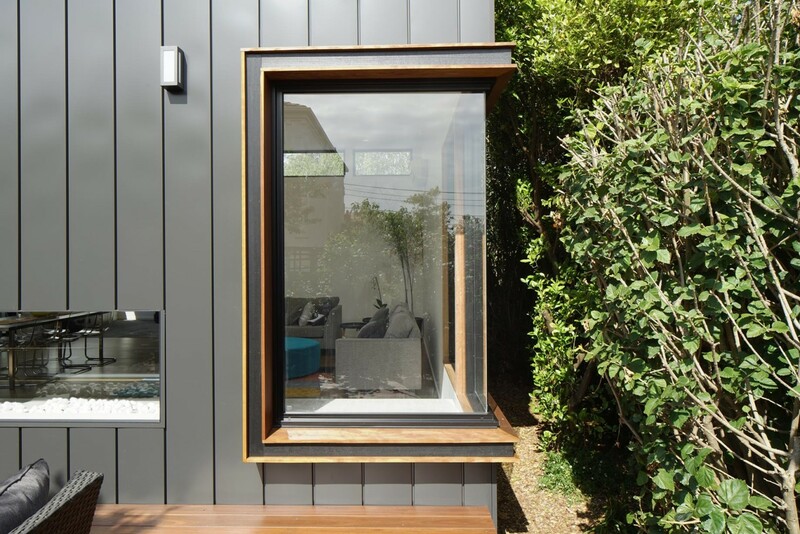 In this renovation to an Art Deco home in the leafy Melbourne suburb of Caulfield, the interiors of the existing house were reordered to create a new central spine which culminates by framing a view of an existing and prolific cumquat tree at the rear of the property. 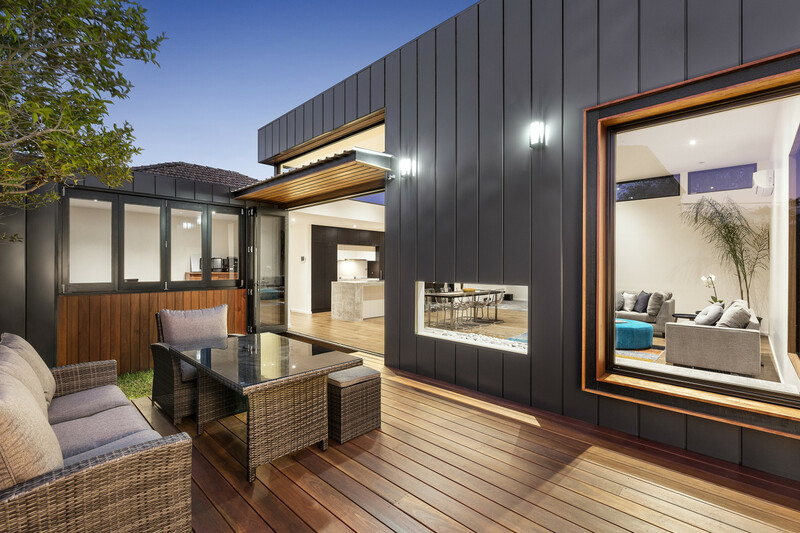 Key to the success of this design was the creation of two outdoor rooms which straddle the living and dining spaces of the home. 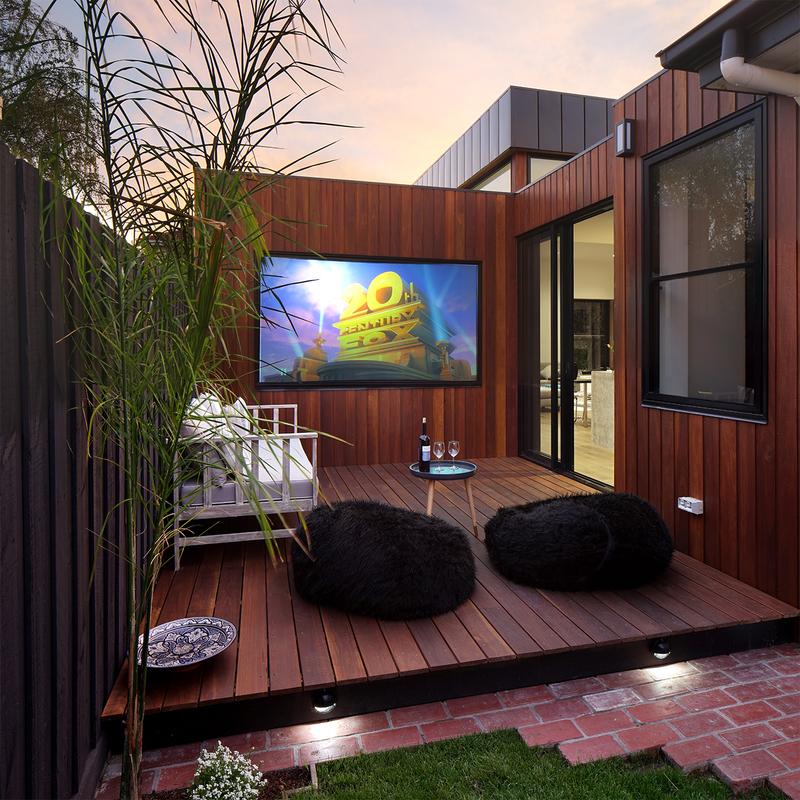 To the east, a decked “room” has been designed to not only allow northern light into the rear extension but also transform into an outdoor cinema through the clever integration of a double-sided projector screen in the window opening of the internal home theatre. 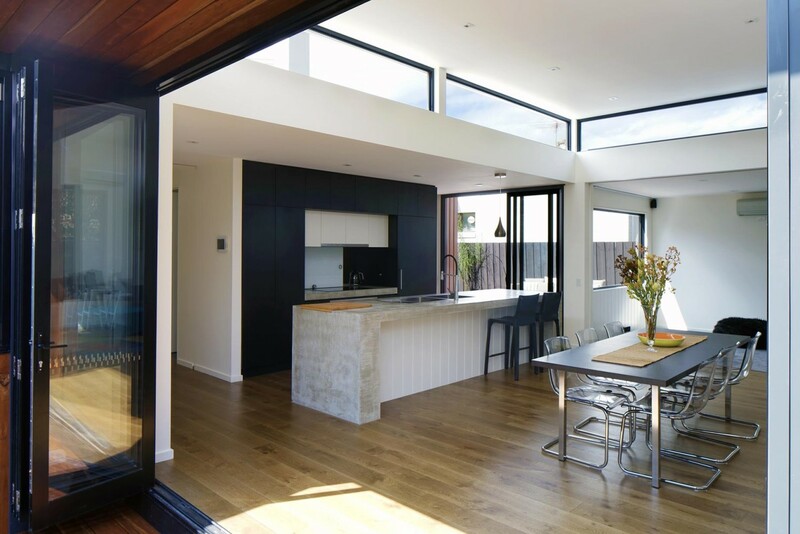 To the west, a second and larger outdoor “room” connects to the living spaces via a large bifold door and double sided indoor/outdoor fireplace. 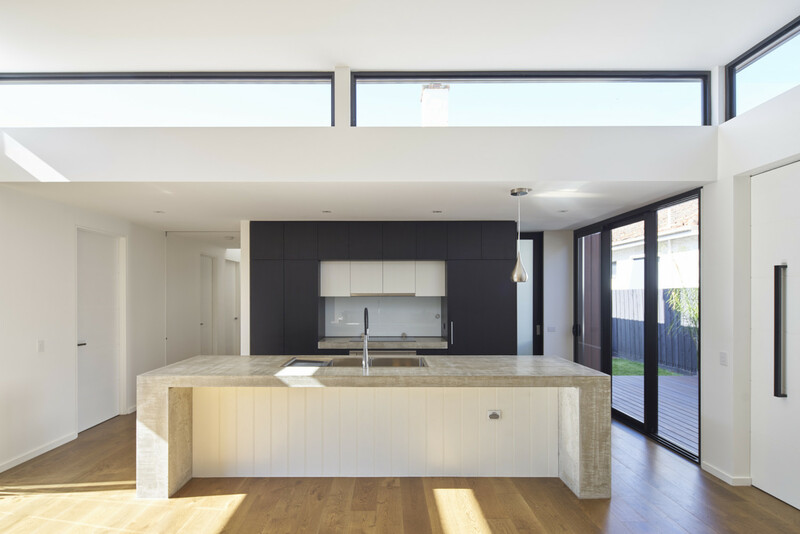 A substantial polished concrete island bench anchors the kitchen to the living areas, serving as a transition point between the two outdoor spaces. 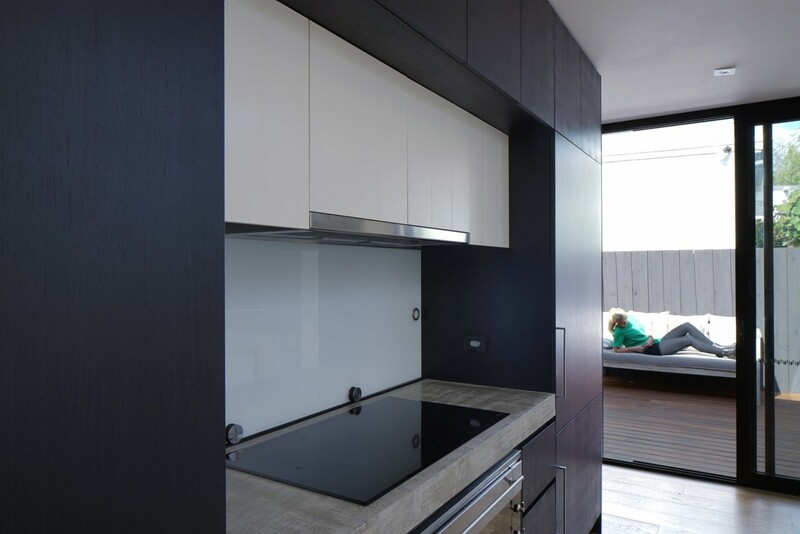 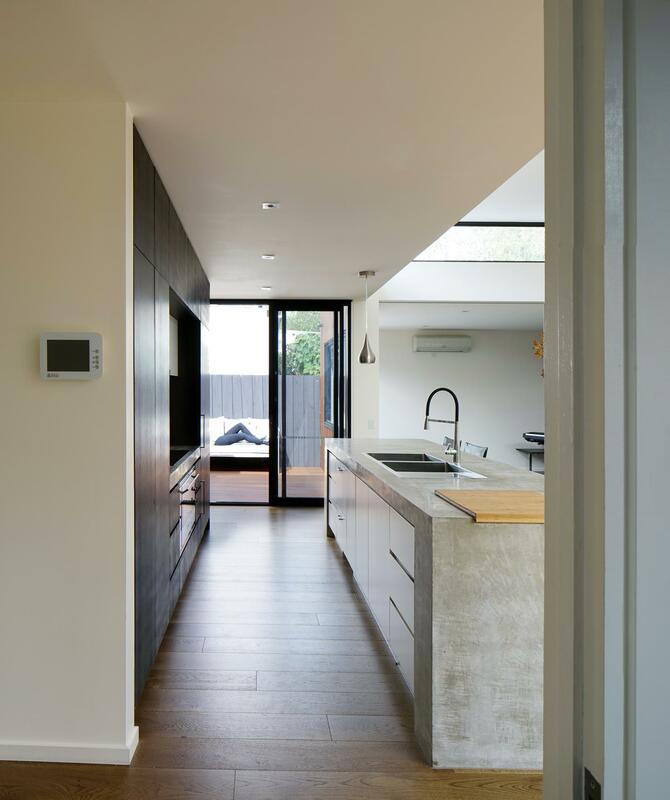 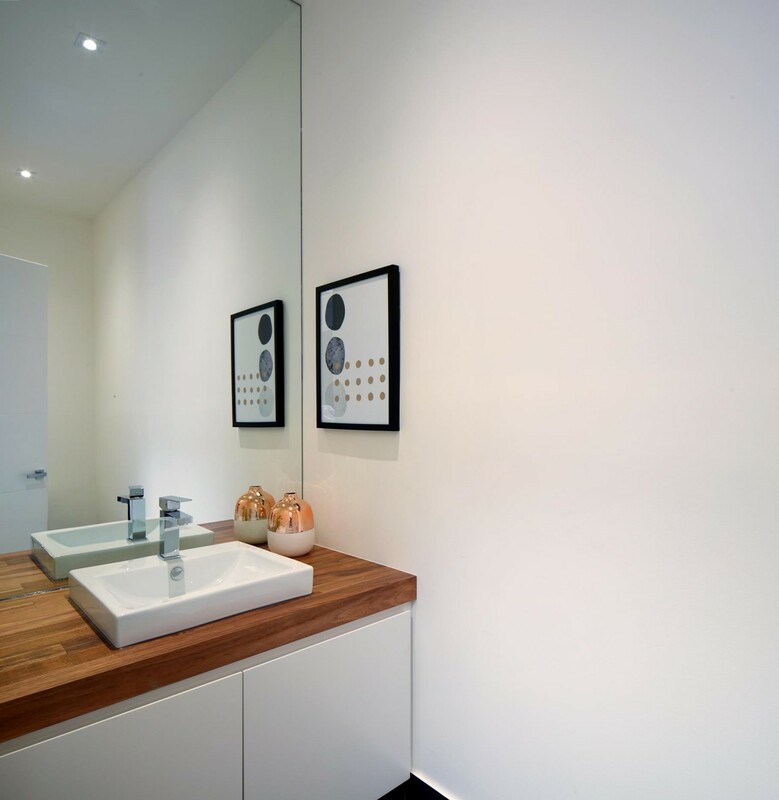 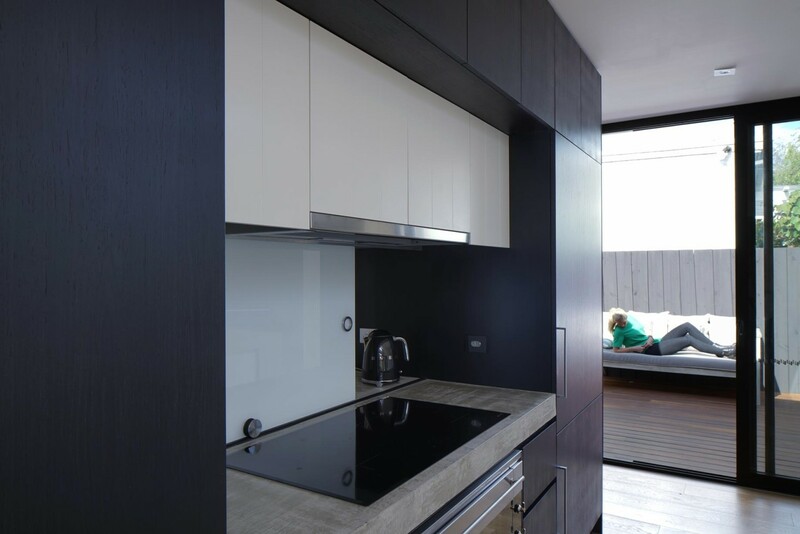 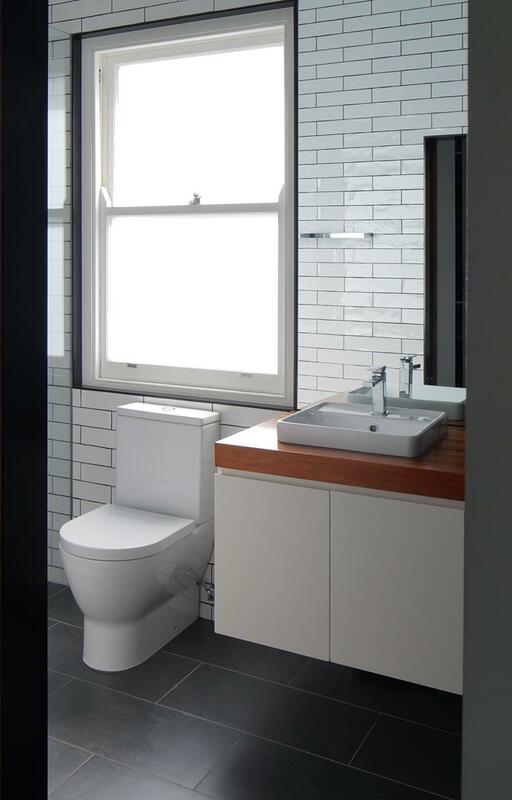 The play on room interfaces is continued between the kitchen and rear butler’s pantry with a retractable glass splashback providing an efficient means of screening the service area. 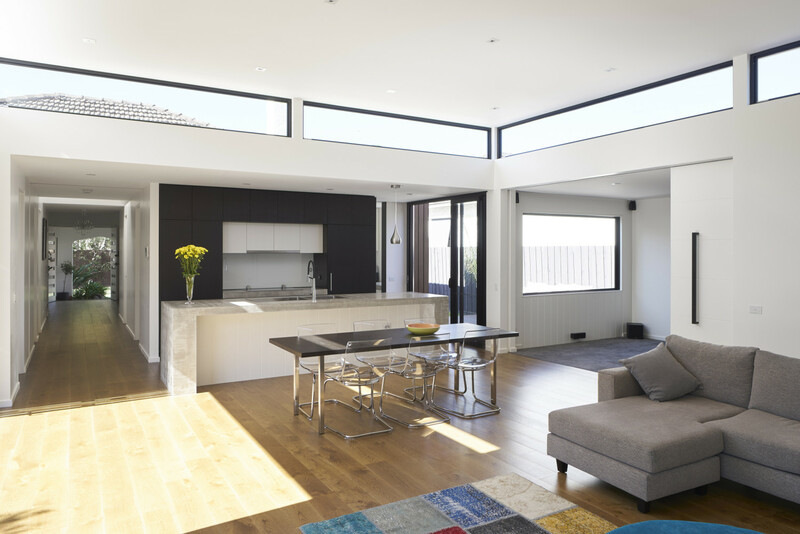 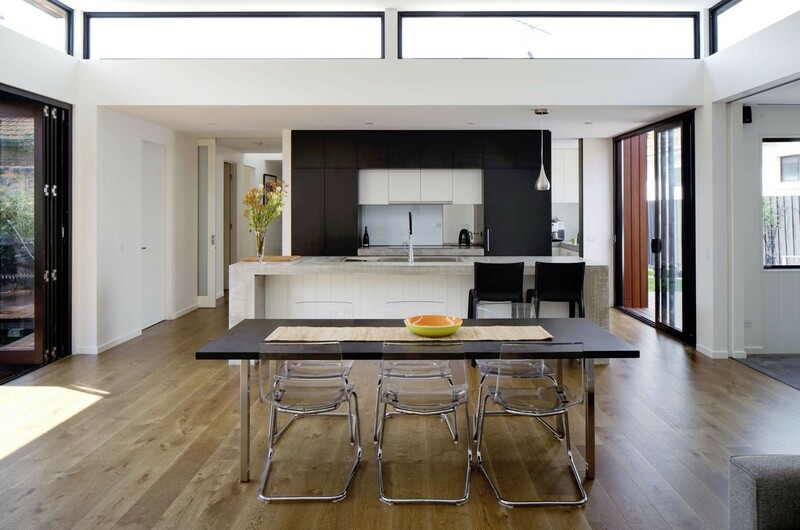 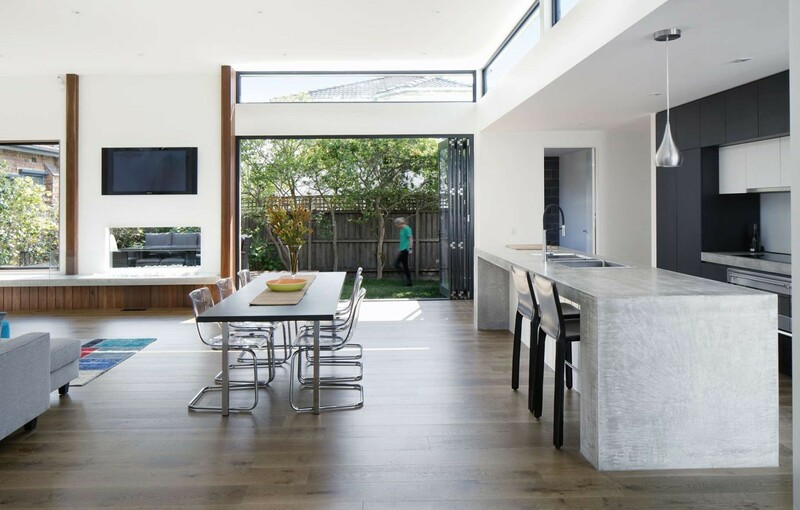 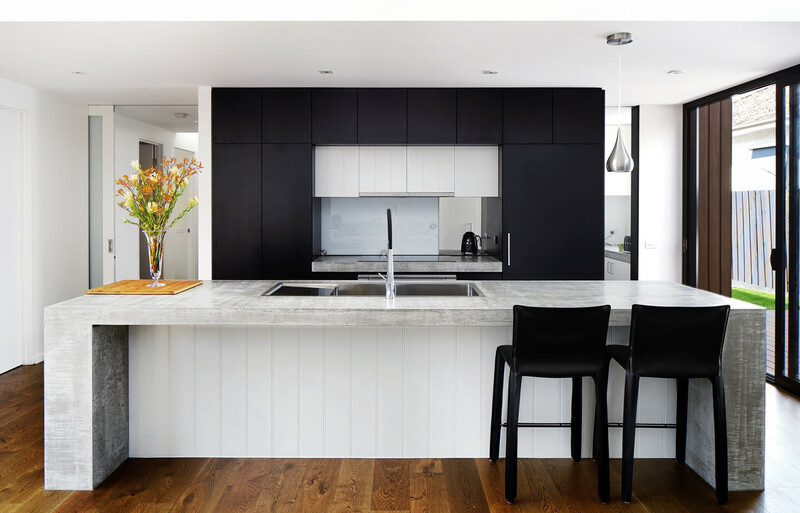 The heaviness of the island bench is balanced by raised ceilings and continuous clerestory windows to the north, east and west which allow ample northern light deep into the living spaces throughout the day. 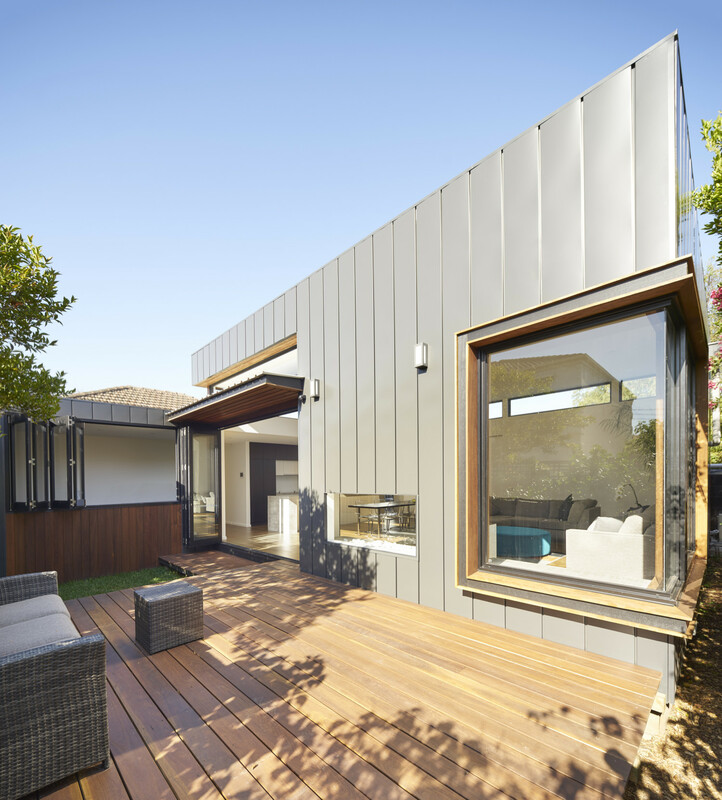 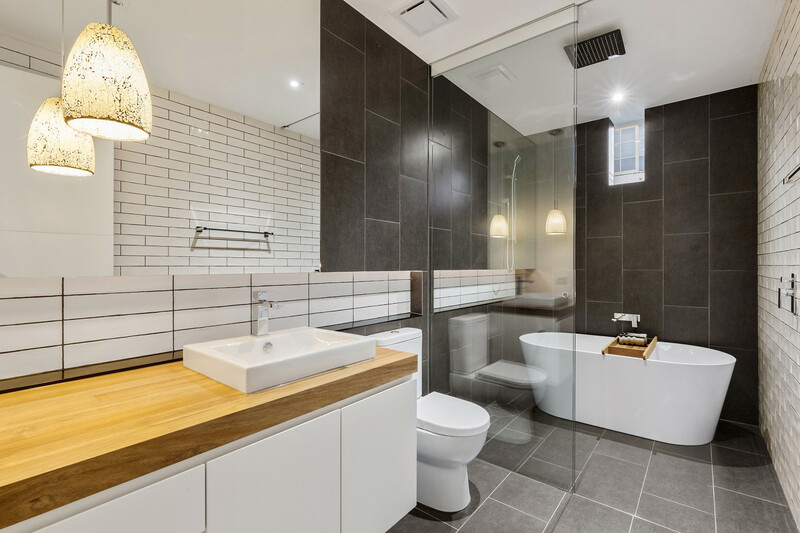 Additional features include large pocketing sliders throughout the house which allow the dwelling to be zoned for both flexibility of use and heating and cooling. 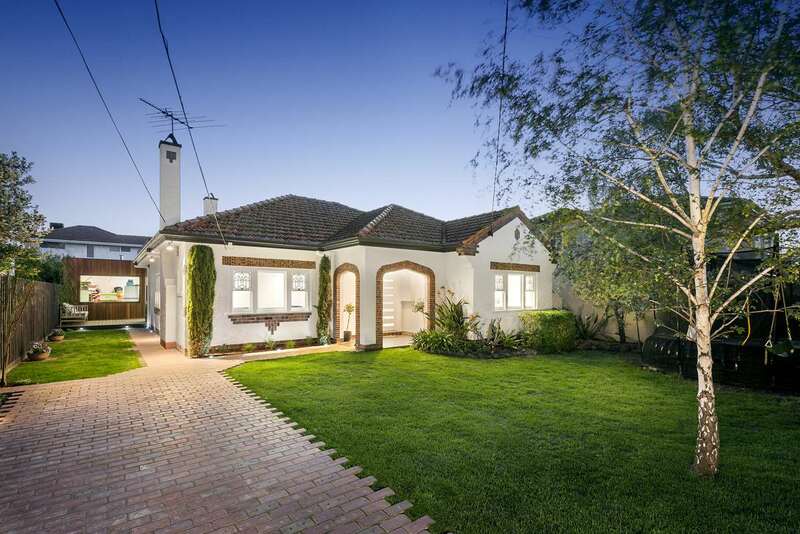 The Art Deco influence of the original home is referenced in the “toothed” brick driveway and paving, with orange-hued timber accents drawing a connection to the original terracotta and brick accents both inside and out. 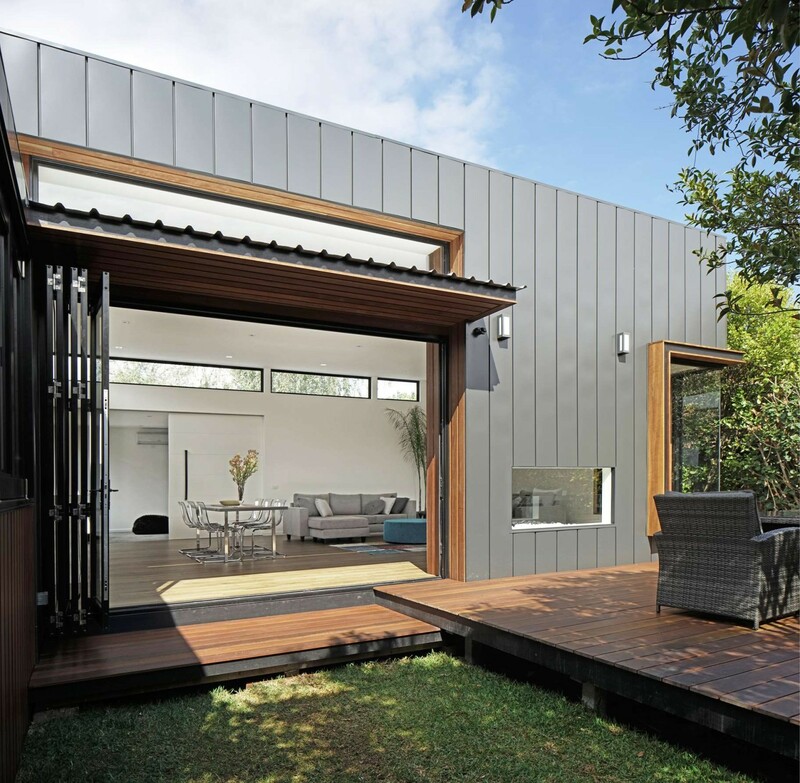 The colour of the cost effective, yet striking sheet metal cladding at the rear is referenced in the guttering and spouting of the original home at the front. 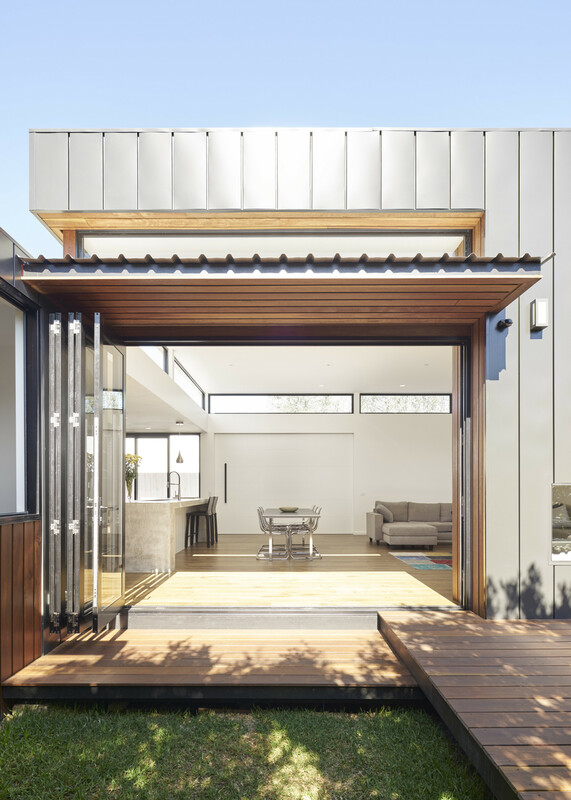 These palette references allow for a dialogue to exist between old and new and ultimately allow the renovations to stitch into the original structure in a contemporary yet complementary way.